Acoma Roofing Inc. has been servicing the greater Tampa Bay area since 1952. As a family owned and operated business for the past 63 years, our goal is to perform every job, large or small, with quality materials, friendliness, and EXPERT workmanship. We vow to quickly resolve and correct all disputes with integrity should we fall short of our high standard. 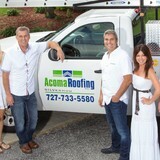 Acoma Roofing, Inc. wants to be your roofing company of choice. We ensure loyalty by providing quality work and materials, friendly and courteous roofing staff, and a guarantee on all the work we provide for your roof. Whether you have to have a metal roof repaired or a tile roof re-roofed, our employees have the skills and experience to get the job done, whether big or small. MD Seamless Gutters offers a complete solution to all of your gutter needs. Leaky gutters can cause water damage in your home leading to very costly repairs. Debris, tree limbs, and other materials that may clog your gutters can also create water drainage issues. Whether you need new gutters, repairs, guards or maintance; you can count on the quality and reliability of MD Seamless Gutters - We Make House Calls Count! 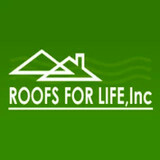 Done Rite Roofing, Inc has established a reputation as the leading roofing company in the Tampa Bay area. With over 16 years in the roofing industry, Done Rite Roofing is one of the leading family owned and operated roofing contractors. Providing commercial and residential roofing services at affordable pricing on any budget, we stand above and beyond the competition. Our warranty, financing program, and promise to never subcontract keeps us second to none in the industry. Done Rite Roofing, Inc. is a family owned and operated business with employees who are extremely dedicated and enthusiastic. We take great pride in our work. This is why we guarantee not to use subcontractors. Done Rite Roofing, Inc. has undergone the necessary examinations to be accredited as a "Select Shingle Roofer" and Owens Corning "Platinum Contractor". We are one of the leading roofing companies in Sarasota, FL specializing in roof repair, new construction, and roof replacement. With your call to Roofing by Curry, you will get much more than a beautiful new roof or a quality roof repair. Since 1986, our #1 priority has been building lasting relationships with customers based on friendship and trust. Unlike some Sarasota roofing contractors, it’s our pleasure to work with you before, during and after the roofing process to ensure your complete satisfaction. Roofing by Curry specializes in all types of roofs, including tile, asphalt shingle, metal and flat. We never use subcontractors to complete our jobs. All services are performed by our own team of 120 well-trained and experienced employees that live right here in Sarasota, Bradenton and surrounding communities. 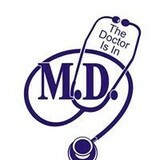 Choose from our following specialties. - Roof replacement - Re-roofing - Roof repair - Roof maintenance - New construction roofing - Rotted wood replacement Roofing by Curry has completed nearly over 15,000 roofs for single-family homes and multi-unit dwellings throughout Sarasota and Manatee counties. Needless to say, we believe we have the knowledge, experience and reliability necessary to earn your roofing business. At Gold Seal Roofing, LLC, we understand that when you put a new roof on your home or business you want quality service at a fair price, and that is exactly what we focus on providing. Our areas of expertise include asphalt shingles, metal roofs, self-adhering systems and roof coatings. Gold Seal Roofing, LLC is accredited by the Better Business Bureau and is a manufacturer certified installer. Gold Seal also offers financing alternatives. Our team of experienced professionals is ready to help you tackle any task with ease. Richard Chad is a third generation home builder and has been licensed in the Florida construction industry since 1985. He holds a bachelor’s degree in civil engineering from the University of South Florida and a bachelor’s degree in biological science from the University of Michigan. His experience includes new home construction and renovations of investment properties. Richard is a past executive director of the Ybor City Chamber of Commerce and has a special interest in historical renovations. He also holds a State of Michigan builders license and a Florida real estate broker’s license. The Gold Seal Roofing team is committed to optimal roofing repair, installation, and roofing solutions. Guided by honesty, integrity and professionalism, our goal is to provide clients with the highest level of value, quality, and service they expect. Our key to success has been founded on an uncompromising code of integrity and reliable, long-term performance. The result is consistent, quality work. You receive long-term value for your dollar with reliable and long-term roofs. When wind, hail, or many years of wear have harmed your roof, it's important to call in a professional to assess the situation. Rest assured, you have found the right contractor for all your roofing needs including full roof replacement and roof repair. Westfall Roofing specializes in all roof types including asphalt shingle, tile, metal, and flat roofs But why us? 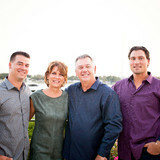 Westfall Roofing has been family owned and operated in the Tampa Bay area since 1989. We have an A+ rating from the Better Business Bureau, we’re highly recommended on Angie’s List, and we have over 15,000 satisfied customers. Westfall Roofing is also a CertainTeed Shingle Master, an Owens Corning Platinum Preferred Contractor, and a GAF Master Elite. Only 1% of roofing companies in North America carry all these distinctions. Today, we are able to offer the industry’s best warranties because of these affiliations. Whether you’re a new homeowner or a seasoned commercial investor, we offer roofing services in Tampa, Clearwater, Riverview for all size jobs from big to small. We take pride in offering the best overall value. We listen to what you want and don’t try to sell you anything you don’t need. We operate with the utmost integrity because we’re your neighbors too. Ready to start your roof repair or replacement project? Call us at 1-813-448-3633 or contact us online to schedule a free estimate! We are a licensed, roofing contractor specializing in residential and commercial roofs. Our Mission is to provide an invaluable service to homeowners, contractors, and corporations with quality roofing that is technically advanced at a competitive price and delivered in a professional, safe,courteous, and honest manner. So, are you ready to see your home in a brand new look? Whether you just need a repair or a new roof, we are the right company for you. Browse through our site to learn more about the services we offer. Should you have questions, do not hesitate to contact us for more information. We look forward to working with you soon! What do roofing companies in Saint Petersburg, FL do? Your Saint Petersburg, FL roofing contractor can install a new roof or repair an old one, as well as repair and replace gutters. Good roofers in Saint Petersburg, FL should be able to promptly inspect roofs and gutters to assess damage after a natural disaster or other event, and give you an estimate for the necessary roof repair immediately. Some Saint Petersburg roofing companies specialize in specific types of roofs, such as tile or metal, so make sure the one you are interested in works with the materials you have or desire. Find a Saint Petersburg roofer on Houzz. Narrow your search in the Professionals section of the website to roofing companies in Saint Petersburg, FL. If you’re planning a large-scale project, find other professionals on Houzz who can help get the job done. Here are some related professionals and vendors to complement the work of roofing & gutters: General Contractors, Specialty Contractors, Siding & Exteriors, Door Sales & Installation, Garage Door Sales & Installation.